So begins Michael’s tragic story. Growing up with violence, both in his home and in the streets of his neighborhood, Michael turned to drugs. And his downward spiral into despair continued. More drugs. More alcohol. Then Typhoon Sendong hit, and his life was really turned upside-down. His family’s home was destroyed, and they lost everything. Each Living Free video costs our ministry about $1,200 to write, film, produce and distribute. 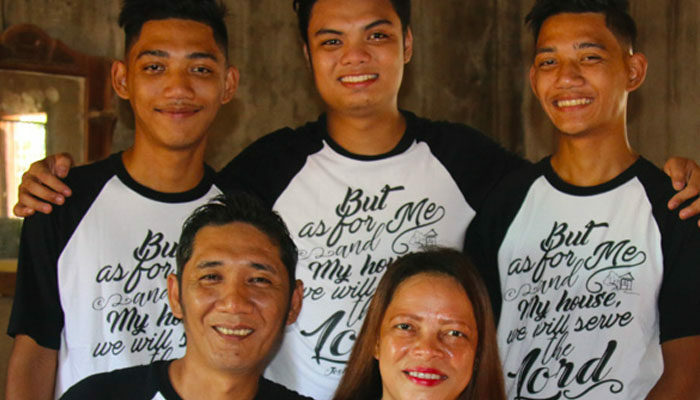 As you support AP Media, you enable us to provide video and print materials like these to supplement drug rehabilitation workshops arranged by Global Teen Challenge in the Philippines in response to the national War on Drugs. Thank you for partnering with us to see His Commission, Multiplied in the lives of each person who sees this video and even more to come. LirIo Abel: Thank you, Asia Pacific Media for coming to Dubai!